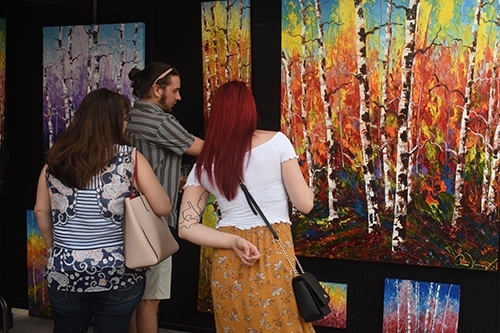 First Photo: Many admire Artists Tim Kenney’s work, as bright colors shine off the canvases. 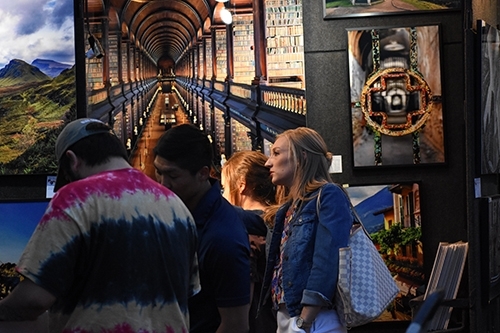 Second photo: Paintings and artwork aren’t the only pieces of fine art, audiences were found at national photography booths throughout the tents. 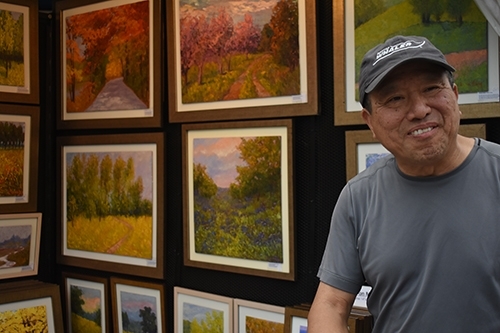 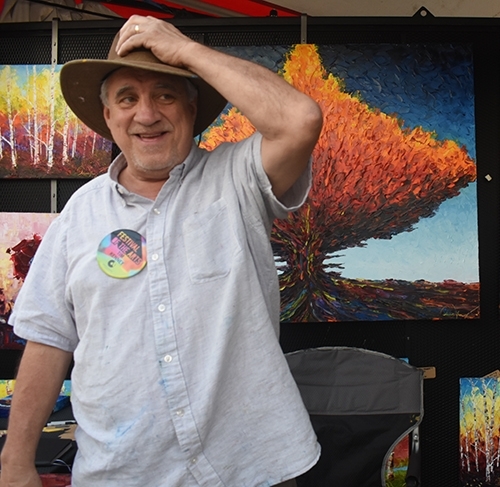 Third Photo: Tim Kinney, local Oklahoma artist gleams with pride as his art hangs behind him at the Oklahoma Art Festival. 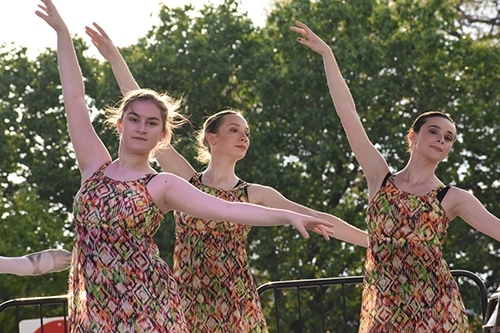 Fourth photo: Student dancers leap across the stage during the festival. 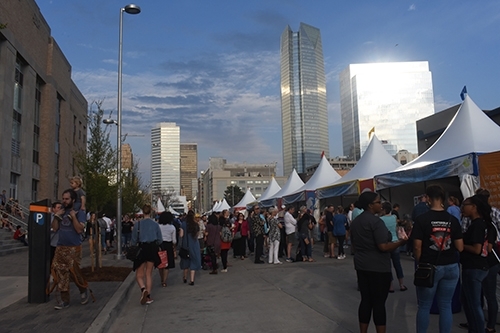 Last Photo: The festival lasted until 9:00pm on its first day, and stayed full for the entire day.